Parking pressures outside a South Oxhey doctors’ surgery in Oxhey Drive have been temporarily eased thanks to a dramatic intervention from the local Labour team. Councillor Stephen Cox, having met with surgery staff, spoke extensively with the council’s Chief Executive, Dr Steven Halls, to negotiate the reopening of the adjacent car park. This was agreed and it was opened again on Monday 13 March. The car park, used by both patients and staff, was closed by Liberal Democrat-run Three Rivers District Council while the new garage was built on the site of the former Scout Hut. With work complete, the council refused to reopen the gates without a cash injection from the NHS which has suffered Tory cuts to its budged and couldn’t afford to cough up. The gates stayed locked. This led to traffic chaos. It was bedlam at times with emergency vehicles and buses struggling to find a way through and patients being unable to get parked due to the competing demands and the unavailability of the car park. 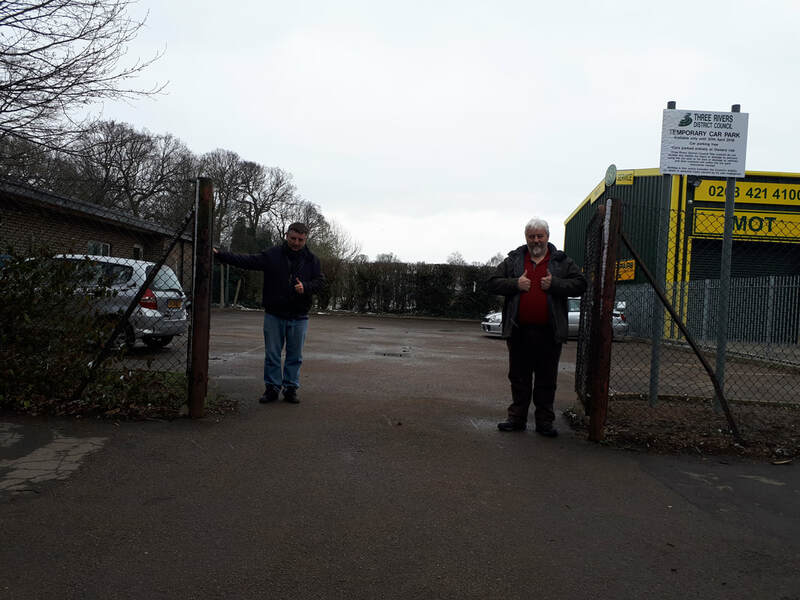 The council agreed to open the gates due to the parking shortage at least until the car park at the station is ready and reopened, which is expected to be around 30 April. But there’s a sting in the tail. The Labour team understand the council was seeking to lease the car park not to the surgery but instead to “another concern”. “After finally getting the gates open, people want to be able to use it. I am looking to see if an agreement can be reached which would continue to allow public use of this vital facility,” said Councillor Stephen Cox.